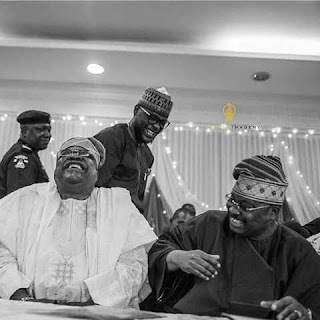 GistTube9ja: Oyo Guber: Alao-Akala Finally Rejoin APC? Oyo Guber: Alao-Akala Finally Rejoin APC? Although InsideOyo.com cannot independently verified the latest move but Vanguard reported that the former governor who left All Progressives Congress (APC) in October 2018, rejoined after visiting Bola Tinubu, at his Bourdillon residence. Recall that the former governor had asked to be given time to make a formal statement on the meeting with the APC national leader. On Thursday, the former governor also met with the opposition parties in Oyo and the parties are working on workable modalities ahead of next Saturday’s election.